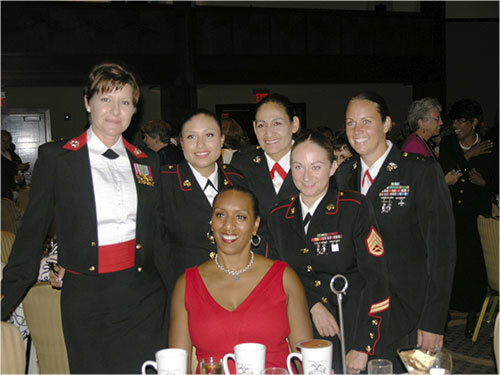 September 1 – 5, 2012 – The Woman Marine Association is a 501(c) 3 non-profit charitable organization comprised of women who have served or are serving honorably in the United States Marine Corps regular or reserve components. Since 1918, American women have answered their country’s call to serve. We have served proudly with distinction and honor; each generation evolving but always retaining our proud traditions. Our Bond: The bond and camaraderie shared by those who have gone through the training to become a UNITED STATES MARINE are ever prevalent among all women Marines … they know no generational boundaries. We are all MARINES! The President and CEO was impressed with the ‘new’ military occupational specialties’ (MOS’s) that Women now had the opportunity to serve in; however, it only encouraged her to build a company that will be able to provide them with employment when they become civilians.